Balsamic Caprese Pasta Salad is a fresh and easy 15 minute recipe full of tomatoes, cucumbers, mozzarella, basil and a fresh balsamic dressing! Summer is winding down but there are still plenty of opportunities to get outside to the lake, go for a picnic or just enjoy a backyard BBQ. 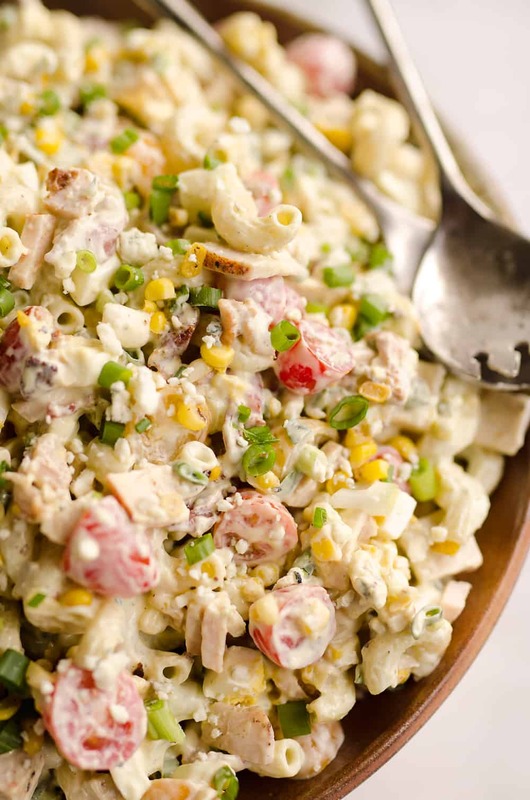 Pasta salads are the perfect side dish for your grilled steaks, burgers and so much more. 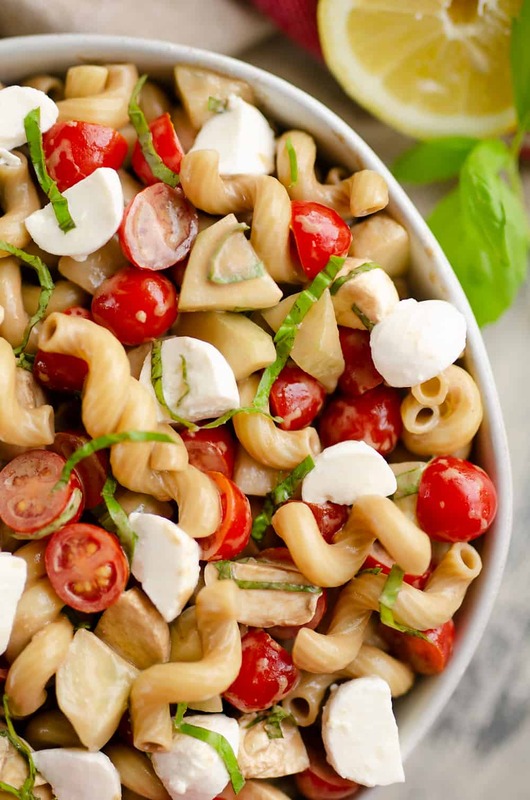 Whether you like something a little sweeter like Poppy Seed Grape Pasta Salad, something spicy like Buffalo Chicken Pasta Salad, or something fresh like this Balsamic Caprese Pasta Salad, they are all great options when grilling out! 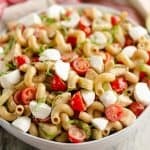 All of the great flavors of Caprese salad are turned into this easy pasta salad which makes for an easy recipe that transports much better than the traditional vegetable and cheese dish. 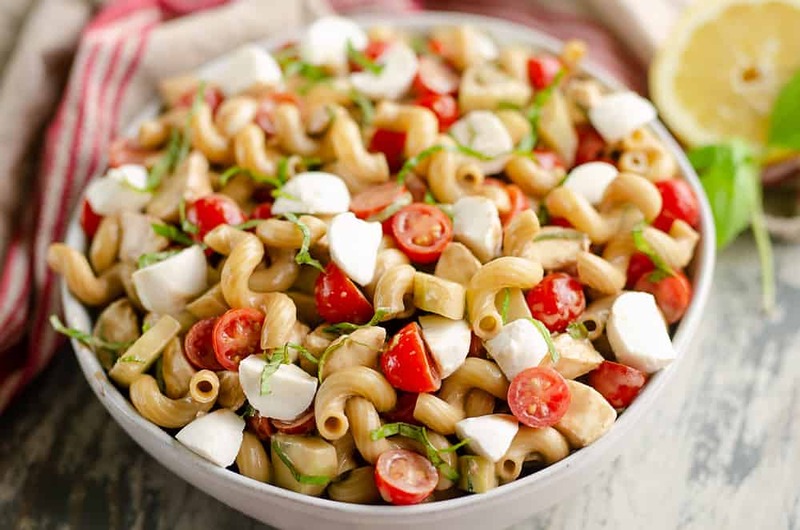 Al dente pasta is tossed with an easy homemade balsamic and lemon dressing to keep things light and fresh tomatoes, mozzarella, basil and cucumbers are folded in to make this amazing Balsamic Caprese Salad. The fresh basil along with the lemon really bring the fresh flavors to life in this dish. 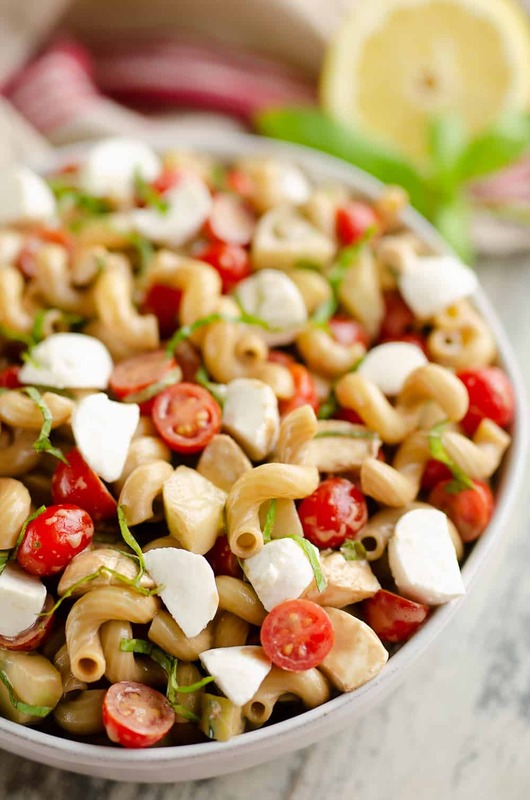 The flavors are subtle and light, as they are with a Caprese salad, but they are delicious and perfect for a lighter pasta salad. 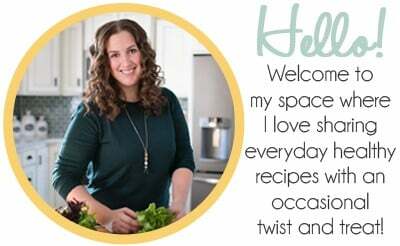 You could easily use whole grain pasta if you are wanting to make it a healthier dish as well. Run the cooked pasta under cold water to stop the cooking process. Drain well and toss with 2 Tbsp. olive oil. Meanwhile, in a blender or small cup with immersion blender, blend together the 1/2 c. olive oil, Balsamic vinegar, Dijon, salt, honey and lemon juice. Pour the mixture over the pasta and mix well. Toss the pasta with the remaining ingredients and serve fresh or store refrigerated. 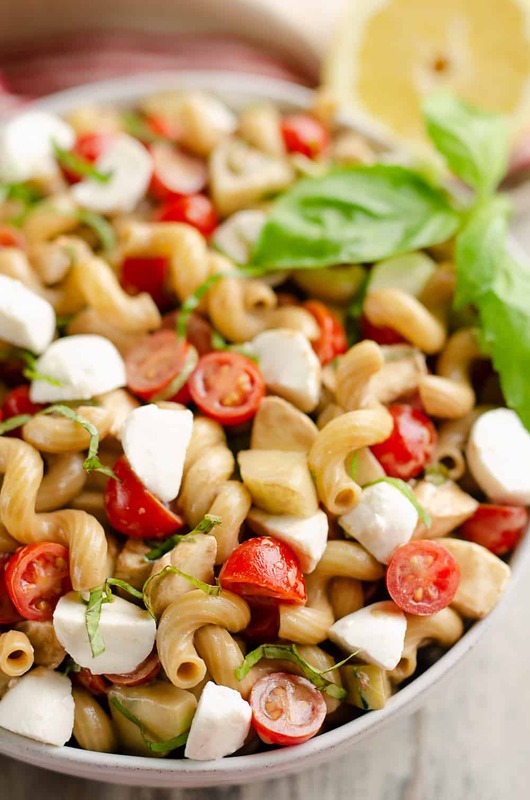 More great summer pasta salads! 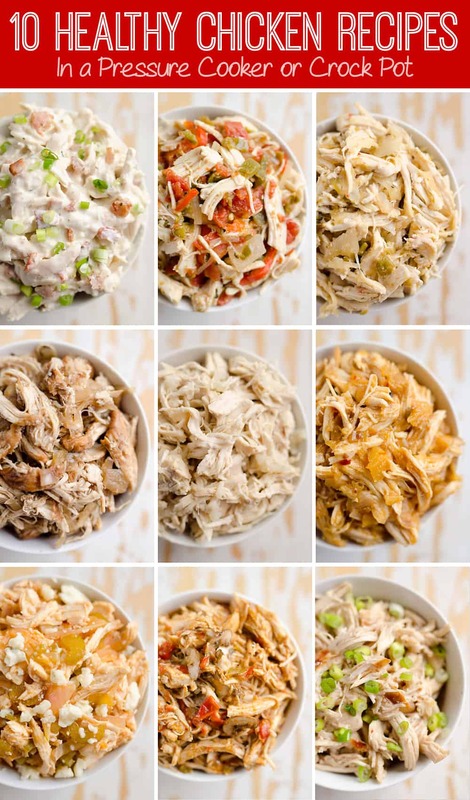 I love pasta salads and they are always a hit at BBQs! Yummy yummy!!! 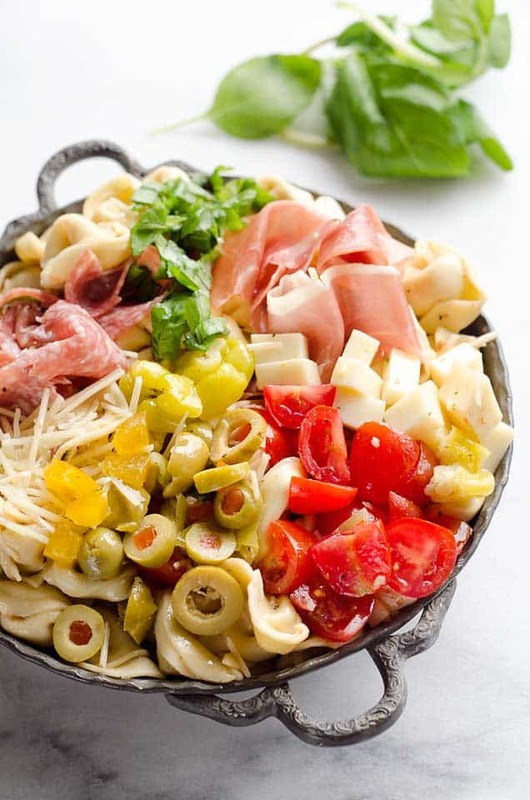 Pasta salads are always the way to go and people love them!! Can I come eat at your house? This is the perfect salad! Totally craving it now!